Will I be safe if I bed down in the open air? Do I have enough supplies to last the next few days? Will I ever have a home of my own? James, a 48-year-old veteran, is a rough sleeper who suffers from post-traumatic stress. He uses drugs to self-medicate his emotional pain; his addiction has made it all but impossible for him to hold down a job and make enough money to afford a private home. He tries to sleep in a shelter but finds himself out on the street again when the crowded conditions trigger a post-traumatic episode. He attempts to seek help for his mental health struggles; his efforts fall flat in the instability of sleeping on the streets. When, after years, James finally manages to obtain a private home, a relapse into drug abuse culminates in his eviction. He returns to the street. Despite James’ clear need for long-term support, this final episode leads to his reclassification as a low-priority “intentionally homeless” case and erodes his remaining confidence in the relief system that failed him. The scenario above may be hypothetical, but the problems it outlines are real. Complex cases like James’ often need more care than a mass-applied solution can offer. Those suffering from chronic homelessness face countless barriers to long-term housing. Private landlords are often unwilling to let to people who have been homeless before; similarly, some hostel providers turn applicants away if administrators feel that their needs are beyond the facility’s capabilities. Worse, chronically homeless individuals often don’t qualify for settled accommodation despite their clear need for supportive services; as with James, many suffering from addiction slip through systemic cracks as a result of their struggles and find themselves unable to secure long-term housing. Homelessness, chronic and short-term alike, stands as a real and pointed problem in the United Kingdom. 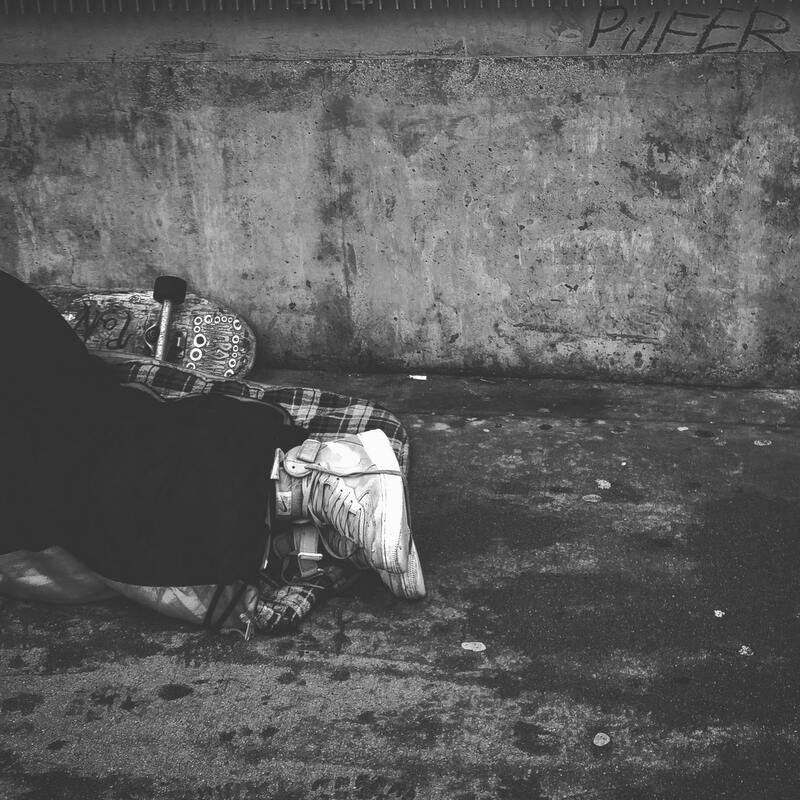 Rates of homelessness and rough sleeping are on the rise in the UK; the crisis is one of the most severe social problems facing the nation today. As of November of 2017, over 300,000 people were living without a home — either in temporary accommodations or roughing it on the streets. Even worse, the number of rough sleepers in Britain has risen by 169% since 2010. London is particularly problematic; over the last eight years, the city’s population of rough sleepers has all but doubled. Numbers like these demand triage. Under the compiled legislative weight of the Housing Act of 1996, the Homelessness Act of 2002, and the Homelessness Reduction Act of 2017, local English councils have the dual responsibility of implementing a homelessness preventions strategy in their districts and providing access to meaningful advice and aid to residents living without housing. These councils offer settlement help on a priority-need basis: those judged to be most vulnerable are aided first, with those judged to be at less risk or intentionally homeless coming after. If all goes well, housing-insecure applicants move in a predictable residential flow, shifting from the street into night shelters, then through a hostel or transitional housing unit before finally landing independent housing. In a perfect world, that traditional flow might work for everyone. However, while mass-applied solutions like the path mentioned above work for many suffering from homelessness, they inevitably fall flat when it comes to resolving the complexities inherent in cases of chronic homelessness. Those with complex needs often aren’t well-suited to the traditional means of finding housing and end up slipping through cracks in an overloaded relief system. Housing First is a model that accounts for complexities. This approach flips the traditional flow on its head by viewing stable, independent housing as the foundation for positive change, rather than the reward for it. As one thriving programme recipient put it during an interview on his experience: “When you build a house, you don’t start with the roof.” Housing First case workers recognise that those struggling under the weight of psychological or emotional hardships, drug dependency, past experiences of abuse, or contact with the criminal justice system may not be able to take steps towards a better life without first having the security of a home. The programme provides each participant with stable, affordable, and independent housing that is not conditional on achieving any standard of “housing readiness.” This format allows participants to address their overarching emotional and health concerns from a safe space and provides them with ready access to intensive and personalised support services. Success is thus more likely, because the care provided is moulded to the person; the person is not expected to mould to the programme. The Housing First model has already seen widespread success. It was initially developed in the U.S. In 1992 by Pathways to Housing and has since become central to homelessness reduction strategies North America and parts of Europe. In Finland, the programme has been so widely successful that rough sleeping is all but nonexistent on Finnish streets. The programme has even proved its mettle in the UK; statistics shared by Housing First England show that 70-90% of programme participants sustain long-term accommodation. Yet, while the model already has roots in the UK, its presence can and should be expanded to further combat the UK’s housing crisis. The solution for the UK’s housing crisis will never be a quick or one-size-fits-all fix. Housing First stands as an invaluable addition to our current prevention and traditional flow strategies, not as a replacement for either. With further support and greater integration into homelessness reduction efforts, the model can connect those who have slipped through systemic cracks with secure, long-term housing. Our dedication and support are vital — not only for the programme or for society, but for those who dream of one day having the chance to unlock the door to a home of all their own. A steadfast philanthropist and social leader, Brooks Newmark has dedicated his career to building strong and healthy communities. Currently, Newmark divides his expertise across a broad swath of professional interests. In his home of Braintree, Exeter, he serves as the president of a Braintree Community Foundation, an organisation which supports local activists and residents carry out projects to improve local society. Newmark further dedicates his time to his work at Oxford College, where he researches for the Department of International Politics and International Relations. He also maintains a presence in the business sector by sitting on the board of directors for investment firms Telesis Management Ltd. and Apollo Alternative Investments MIP. As he moves forward in his career, Brooks Newmark intends to bring the skills gleaned from his academic and corporate career to bear in favour of his philanthropic projects and spark a blaze of positive social change in the greater community.